So where’s the youth work, then… ? Four papers have appeared in the last couple of months which youth workers might reasonably have hoped would offer some words of encouragement for their distinctive practice. Two have broad focuses and indeed rather grand ambitions: the Local Government Association’s Our ambition for children and young people, released in June; and A 21st Century Education System, published by Compass, which started as a pressure group inside the Labour Party and now describes itself as ‘a home for all those that want to operate within a different kind of politics’. The other two are focused very specifically on youth work: Unison’s The Damage: the UK youth services and the National Youth Agency’s Vision for Youth Work in England to 2020. Far from affirming much that youth workers see as central to defining their work, however, each of these documents, albeit in different ways and to different degrees, again concentrates our minds on why we need to continue the struggle for a practice whose rationale is primarily educational, which is self-chosen by young people and which is publicly available to them as a citizen’s right. For youth work, what is most significant about both the LGA and the Compass documents is its total or near-total absence. The former does manage a token reference on its last page to ‘providing youth services and positive activities for young people’. And the latter expresses a strong commitment to education ‘as lifelong’. However in staking out the ground for this as ‘a continual, joyful, rewarding and enriching part of the whole of our lives’, the Compass collective never apparently considered that more attractive ways of offering it to some young people might be available beyond ‘colleges, universities, companies, workplaces, community centres, various civil society organisations, at home and increasingly through digital technologies’. The two reports with a specific youth work focus do make some welcome nods in the direction of some of youth work’s defining characteristics. The Unison document – whose prime purpose is to present new and stark evidence on the damage wreaked on local authority Youth Services by the Coalition’s cuts – talks of ‘building up relationships of trust’; ‘working in (young people’s) communities’; ‘helping them to make their own decisions’; ‘developing their confidence’. It also makes the case for open access provision on the grounds that this is where ‘young people want and need to socialise in a safe and secure environment’. The NYA vision also includes endorsement of ‘an educational process that extends and deepens a young person’s understanding of themselves, their community and the world in which they live and supports them to proactively bring about positive change’. Tellingly, however, neither of these papers explicitly acknowledges what is perhaps the defining feature of this practice: young people’s voluntary engagement. Nor can this gap be explained away as mere absence of mind. Rather, it has to be seen as the logical outcome of these papers’ felt need to represent youth work as ‘early intervention’, to be aimed at ‘groups and individuals with specific needs’, at ‘challenging’ and ‘vulnerable’ young people and at ‘preventing anti-social behaviour’. NYA is particularly upfront here, repeating a position on which it went public as far back as 2010: that services provided or commissioned by local authorities will ‘typically … be preventative/targeted’, with open access being left to the voluntary sector. Indeed the NYA ‘vision’ comes close to morphing into fantasy when it argues strongly for social impact bonds to ‘be repaid when agreed outcomes, that deliver long term costs savings to the state, are achieved’. 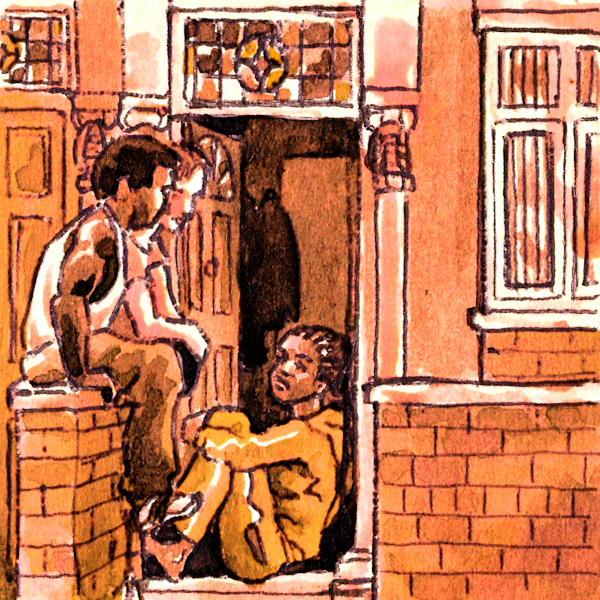 Moreover, given that such outcomes will presumably have to be defined in advance and above all by the investors who will be risking their money, what is never made clear is whether or how they will take into account those bits of NYA’s definition of youth work which see it as ‘built from young people’s lived experience and their personal beliefs and aspirations’. At times the Unison paper too risks overstating what youth workers can promise its funders when it lists the ills from which they will help save society: ‘more disengagement and crime, higher rates of teenage pregnancy and sexually transmitted infections, obesity, higher youth unemployment, and the marginalisation of young people by society’. What also characterises the NYA and LGA reports is their taken-for-granted endorsements of a neo-liberal world in which ‘the demands of a globalised economy’ and the need to ‘creat(e) the workers that tomorrow’s companies will need’ are seen as self-evidently high priorities, to be realised by those favourite market processes – ‘commissioning, scrutiny and audit’. For the LGA, ‘public, private and voluntary’ are thus repeatedly run together as if inevitably and unproblematically interwoven. In the NYA ‘vision’, such assumptions are even more central. Amidst all its rhetoric about ‘young people as partners’ and about ‘co-production’, no consideration is given to the structurally-embedded imbalances of power between them and the ‘corporates’ which will be expected to provide funding – nor, it should be added, to what ethical risk tests will be applied when these donors turn out to be the Barclays and the Sercos of the corporate world. When linked also to the heavy emphasis on targeted work, what this reliance on this world and also on private donors masks, too, is the application of a twentieth-first century version of the deserving poor which the wealthy and the privileged will have the power to impose and define. Despite some of the important data they contain, therefore – particularly the Unison report – and the lofty visions of the others, these papers again further blur the image of youth work as a developmental endeavour focused above all, not on obsessing over the deficits of young people, but liberating their potential. Previous Cuts to youth services ‘will lead to poverty and crime,’ – exaggerated and unhelpful rhetoric?